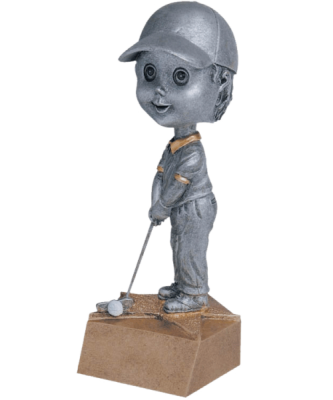 The Vision Male Golf award is a great freestanding award that is designed with a male golfer in a swinging pose. 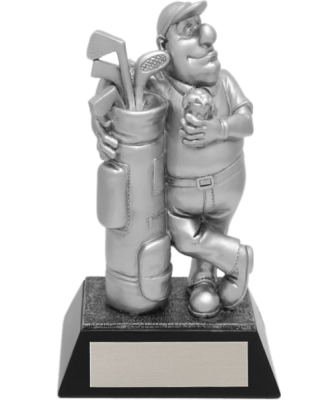 The golfer is designed with a golf wedge in hand. 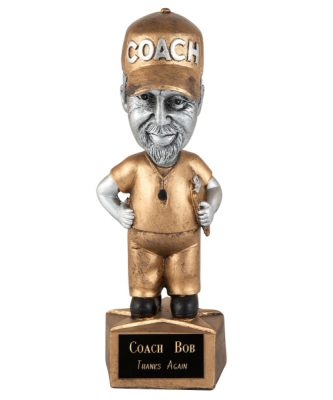 A perfect award for any golfing achievement or victory. 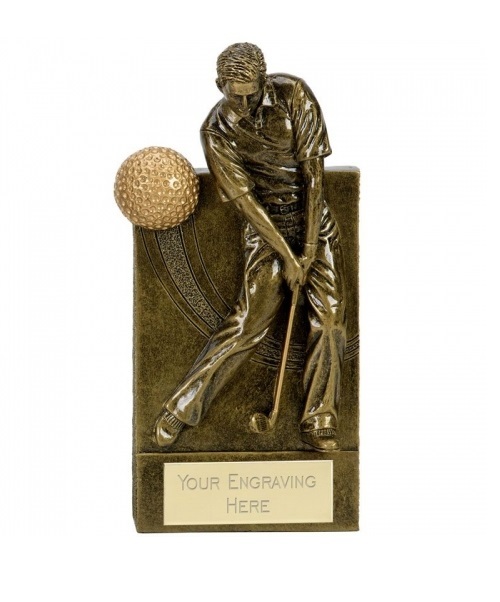 Designed with an antique gold finish to provide a clean and professional appearance. Complete with a fully customize-able front plate with your logo or text of choosing! Available in a 6.25″ or 7.25″ size!